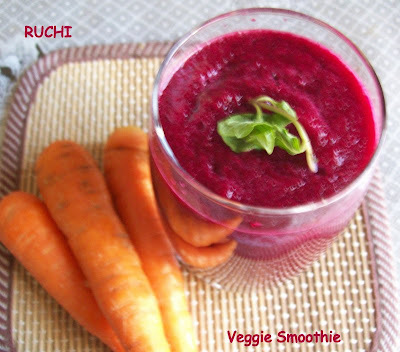 Vegetable Smoothies are one of the highly nutritious drinks. It should be considered a goldmine of natural vitamins and nutrients and can provide us with the same energy that a whole meal can provide. we can drink a glass of smoothies as an alternative to our meal or breakfast. It will help us to lose or maintain weight. Or Sprinkle roasted and ground cumin powder. Pepper powder and a pinch of salt if you wish. Instead of tomato we can replace with apple, orange or cucumber As per availability! 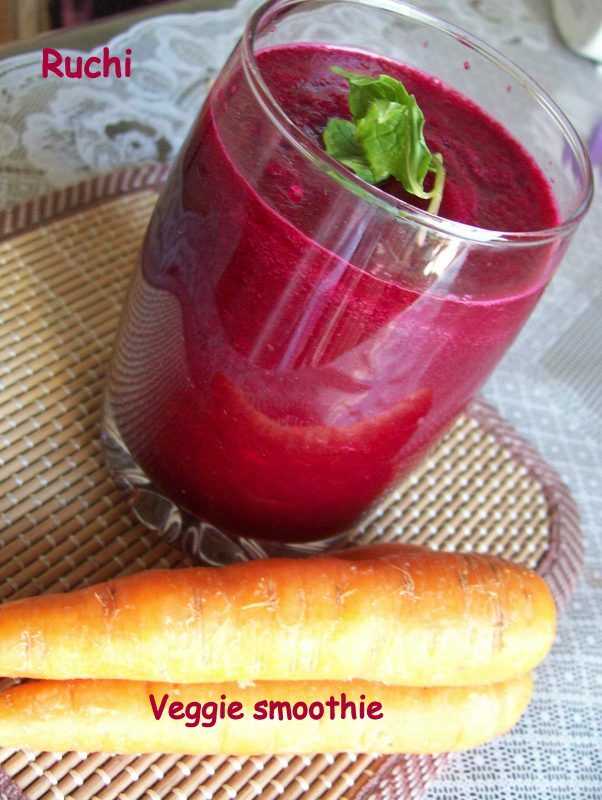 a very healthy smoothie with breakfast....colourEA kalkkal! Wow wat a colourful smoothie,really healthy..